KHOL 89.1 FM is Jackson’s only nonprofit community radio station. On air since 2008, KHOL, continues to serve Jackson through vibrant locally-produced, commercial-free programming. Our station welcomes the varied voices of our community. Our doors are open to those who wish to share their passion for great music and ideas that enrich our community. 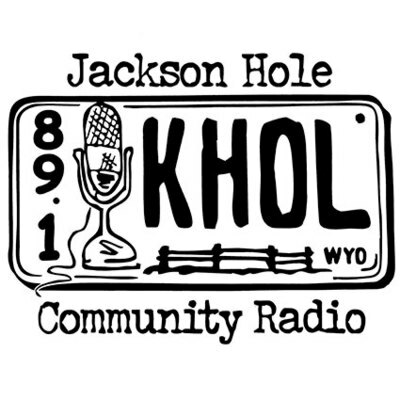 With over 60 volunteers, KHOL continues the tradition of community radio right here in beautiful Jackson, WY. KHOL Programming is produced by volunteers, active individuals and nonprofits in the community. We offer a diversity of music from big band to reggae, indie rock to heavy metal. Whatever your musical inclinations, you will find something that suits your tastes. From 4-5 pm every weekday, we offer locally-produced talk programming covering issues that matter to our community--everything from literary topics to environmental news. We dedicate air time to local nonprofits and broadcast public service announcements, keeping our audience informed about pertinent local issues.